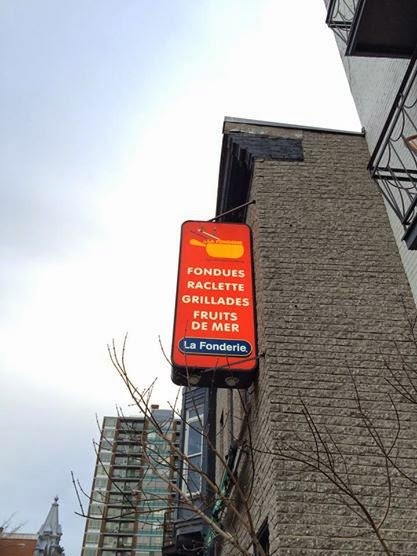 My husband booked a table for us at La Fonderie, a cheese fondu restaurant in Montreal for my birthday. 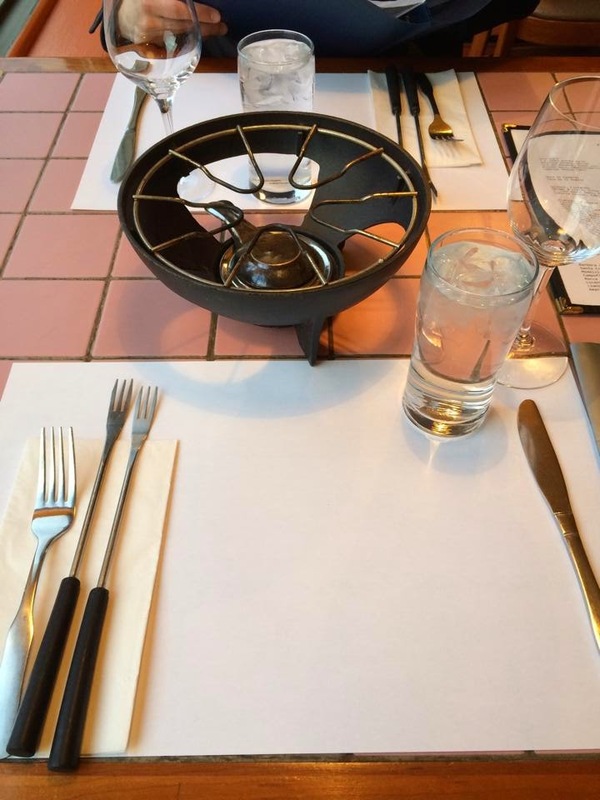 We arrived there a little bit before the reservation time but all the tables in the restaurants were set, and the restaurant was quite large. 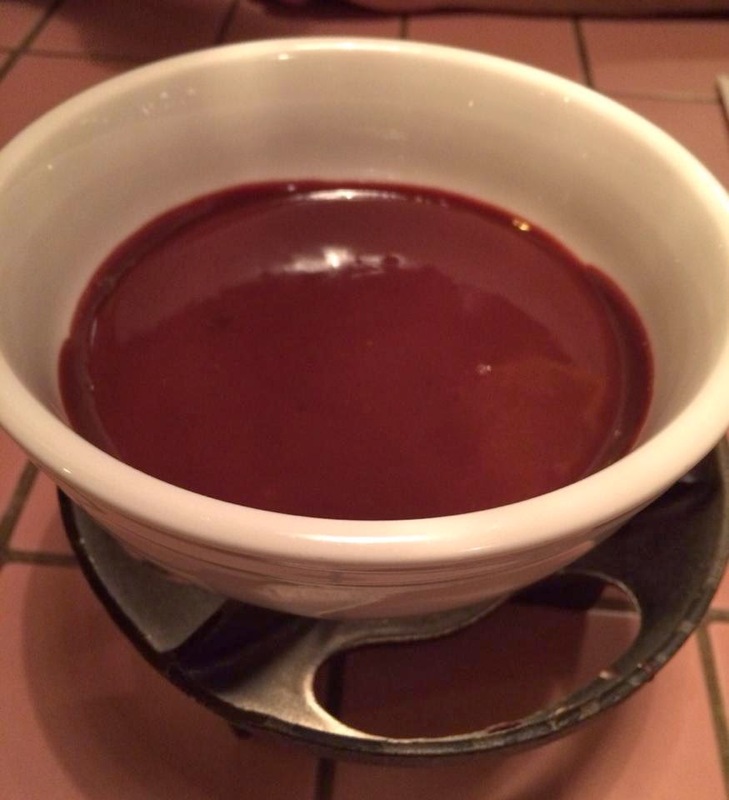 We wanted to get cheese fondu, Chinese fondu (like Shabu Shabu), and chocolate fondu for dessert, then a waitress suggested us a set meal which comes with cheese fondu entree, a salad and Chinese fondu with choice of 2 kinds of meat, followed by chocolate fondu. 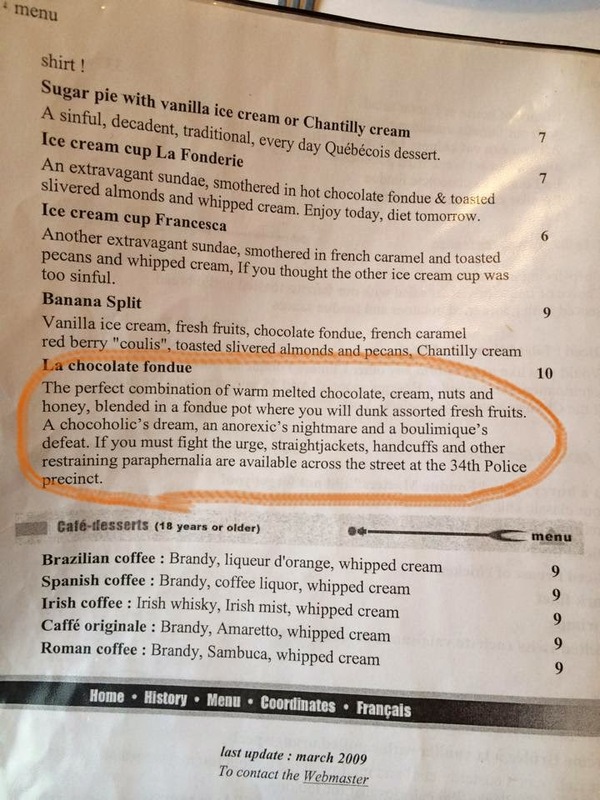 By the way, the chocolate fondu description was just funny. "If you must fight with urge, straightjackets, handcuffs and other restraining paraphernalia are available across the street at the 34th Police precinct." And there was a police station literally across the street. 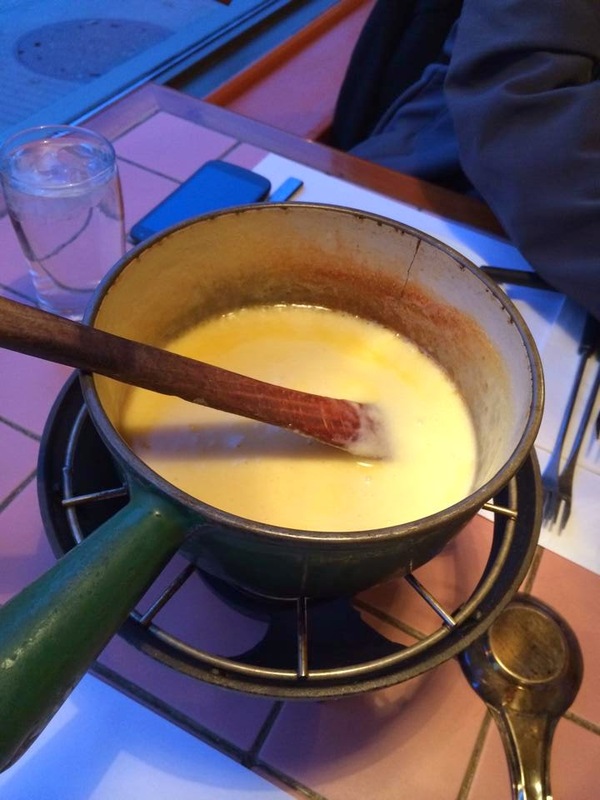 First, they brought entree, which was cheese fondu with baguette. 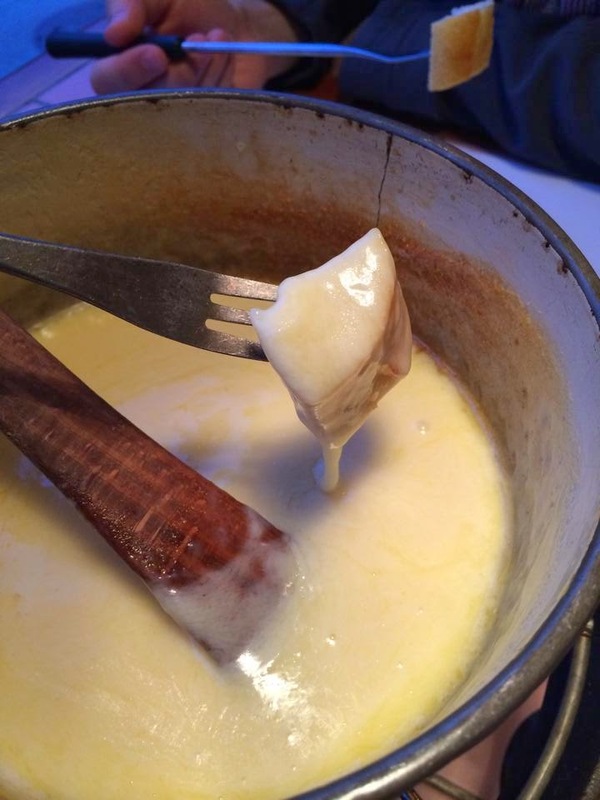 The cheese tasted like a mix of gruyere and mozzarella with white wine to dilute and make the cheese smooth. 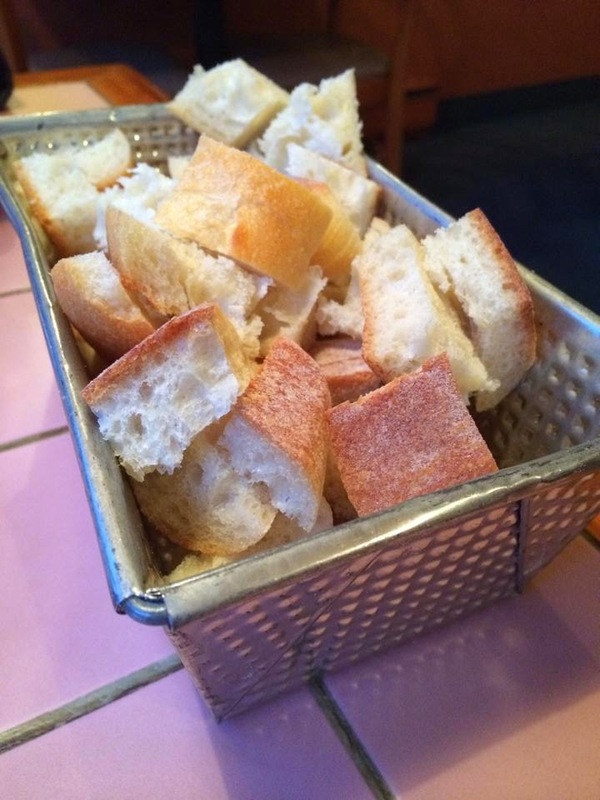 We stopped ourselves to fill up with the bread as it's just an appetizer after we finished a half of the basket and moved on to the salad. 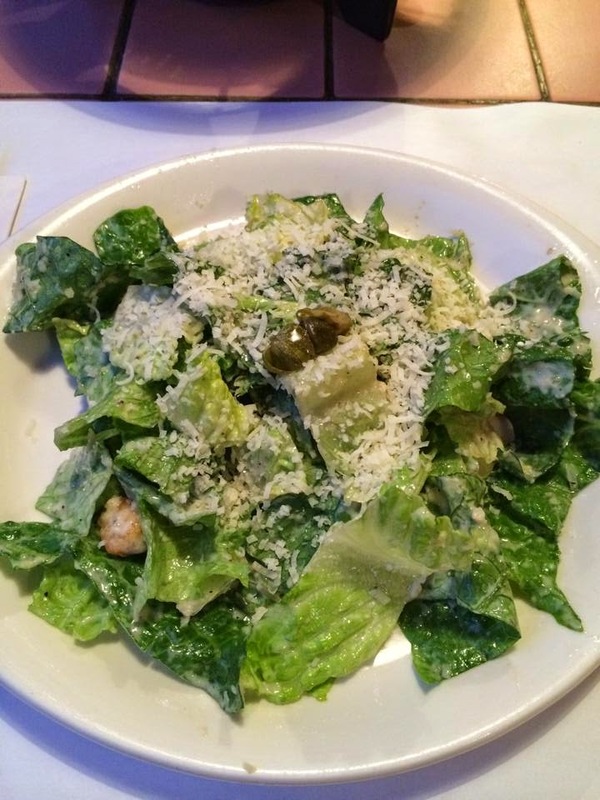 There're 2 types of salads to choose from; house salad or Caesar salad. I chose Caesar salad and the dressing was sour and a lot of cheese were sprinkled. 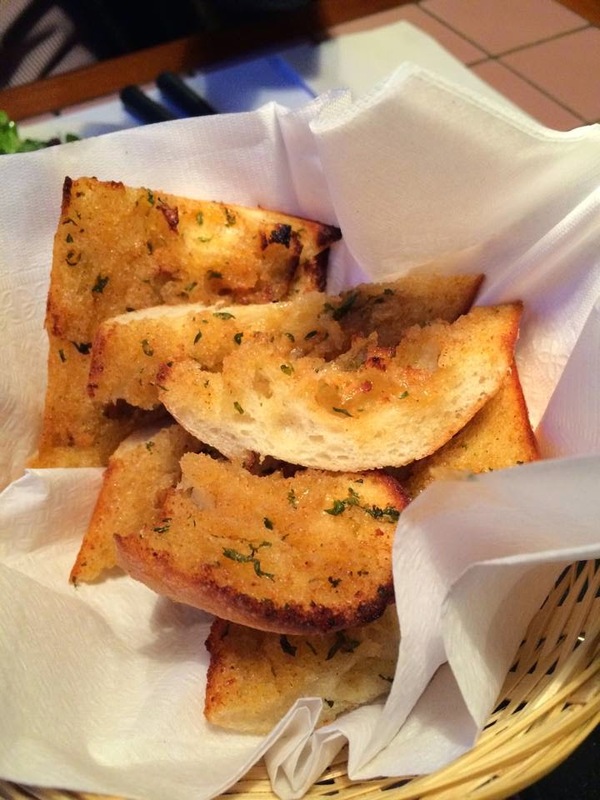 With salads, she brought us a basket of garlic bread. The garlic flavor was strong and a little bit too oily. It's chicken broth with some onions and herbs. 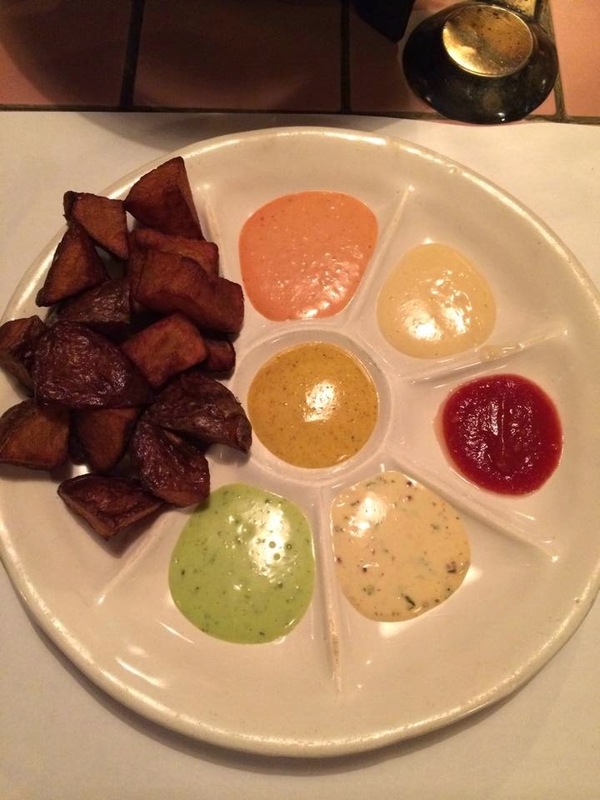 This is the dips and wedge fries. All the dipping sauces were free refill. 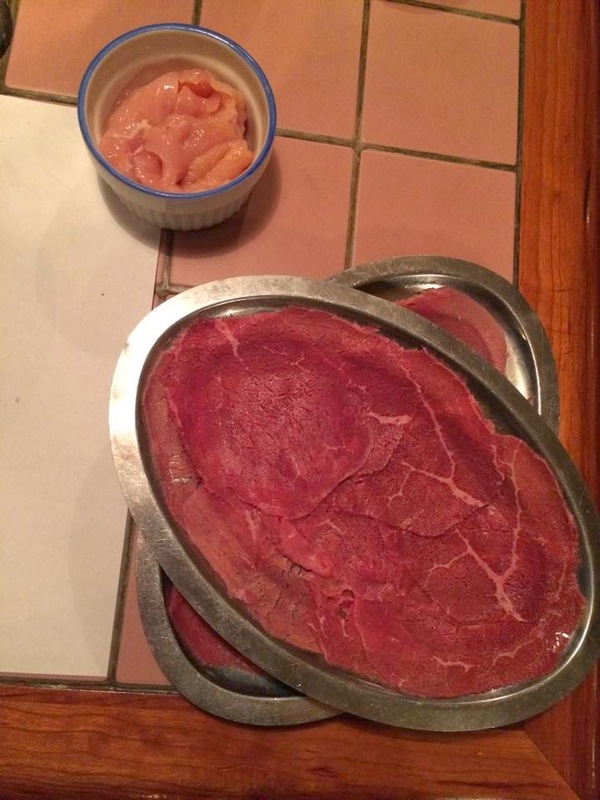 We got chicken breast and paper-thin beef. As it's not a strong fire under the pot, it took a while to cook chicken as they're thicker than beef slices. I was too lazy to keep holding the skewer, I dropped the chicken in the soup and let it cook for a while. The dipping sauce, there're basil, wasabi-alike sauce, chili, garlic and curry. I liked curry itself or curry mixed with garlic sauce. The meat was too much for us, and we could only finish a half or 2 third of it. 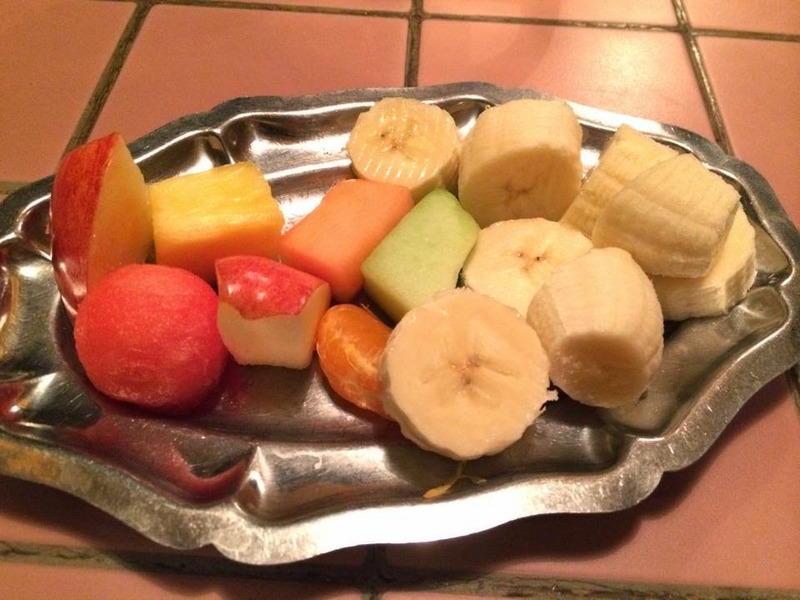 The fruits were bananas, apples, watermelons, tangerines, melons and pineapples. It's my first time to have tangerine and watermelon with chocolate fondu, so it's interesting. 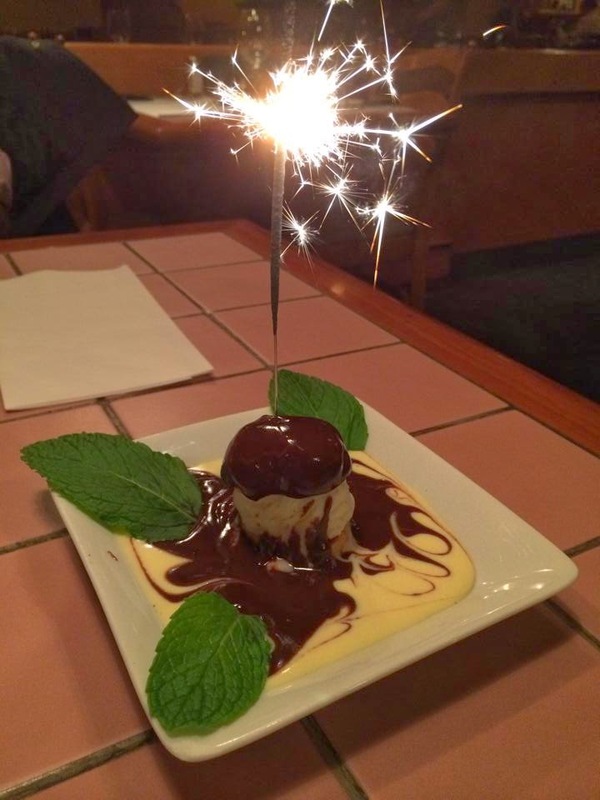 And then, a surprise cake was brought with a firework! Thanks to my husband, when he reserved, he asked for a cake for me. We're happy that we did the course/set as we could try the things we wanted little by little, or more than sufficient, for good values. First of all, Happy Birthday! 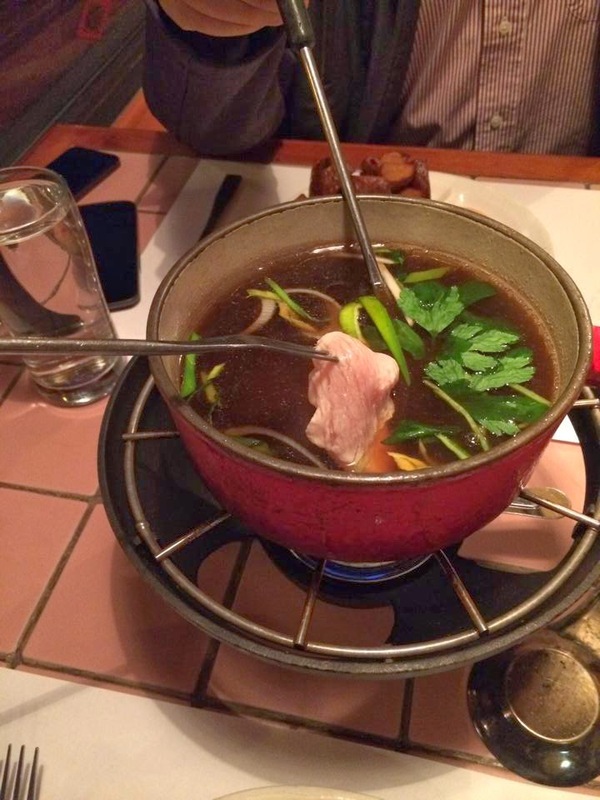 I've never heard of this Chinese fondue before. 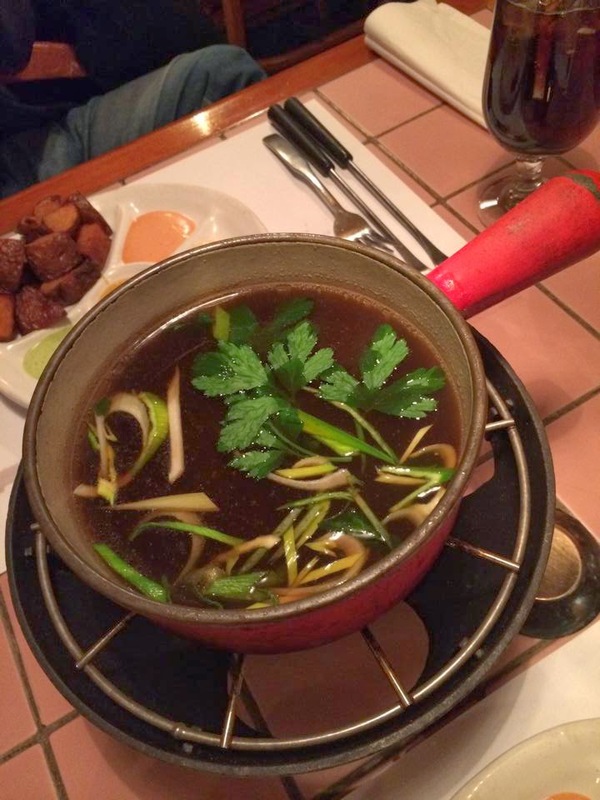 Of course if you just let it cooked like what you did it will just like shabu-shabu, but the dipping part is interesting! I had a birthday cake with firework candles before and my jaw was so tired because I tried to blow the candle off with some distances (not to mention that I was half laughing too that time), just too scared to get too near to it! LOLZ yes, the firework was very hot and lasted long so I let it burn out.